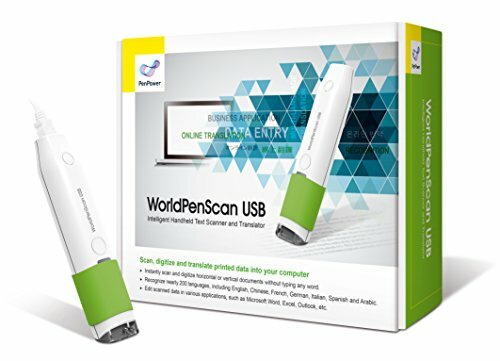 WorldPenScan USB SE is a pen scanner and translator for Windows PC and Mac. Users can instantly scan and digitize horizontal or vertical documents without typing any word. WorldPenScan USB SE recognizes nearly 200 languages and provides sentence translation for business or learning demands. It also facilitates users to edit scanned data in various applications, such as Microsoft Word, Excel, Outlook, etc.